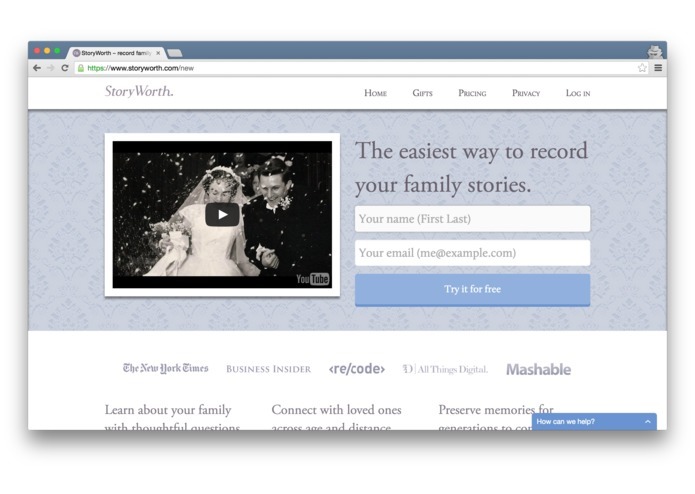 StoryWorth is the easiest way to record your family stories. 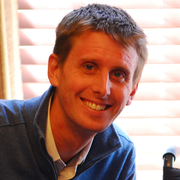 Each week, we email our storytellers a question about their life. 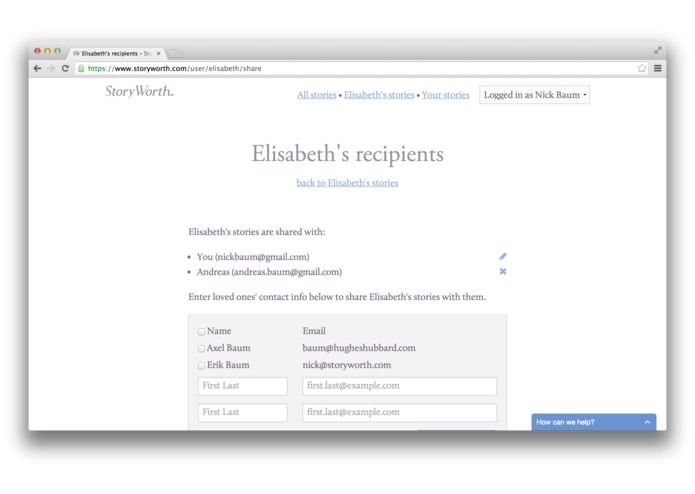 All they have to do is reply with a story, either by email or by phone. 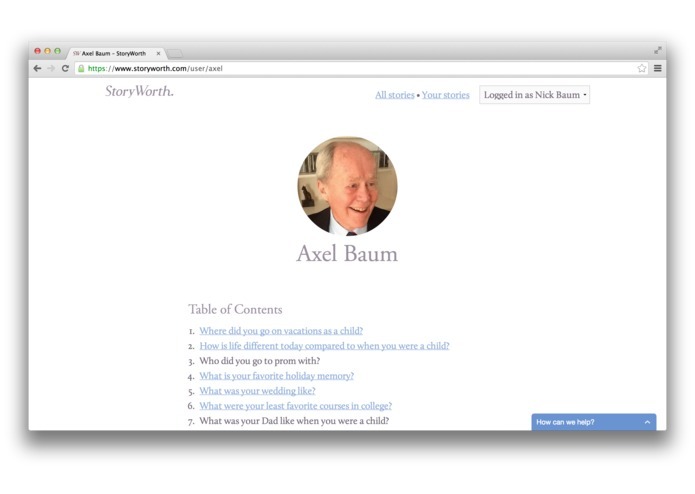 We save their story on www.storyworth.com, and privately share it with their family members. 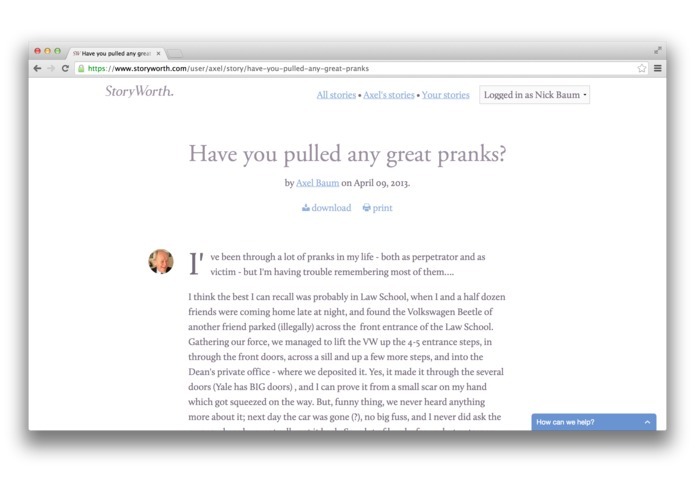 What initially started as a side project to record my Dad's stories, has now turned into a successful subscription service loved by customers across the country. Not only are we helping our customers preserve their family stories, we also help them maintain and strengthen their connection to their family. 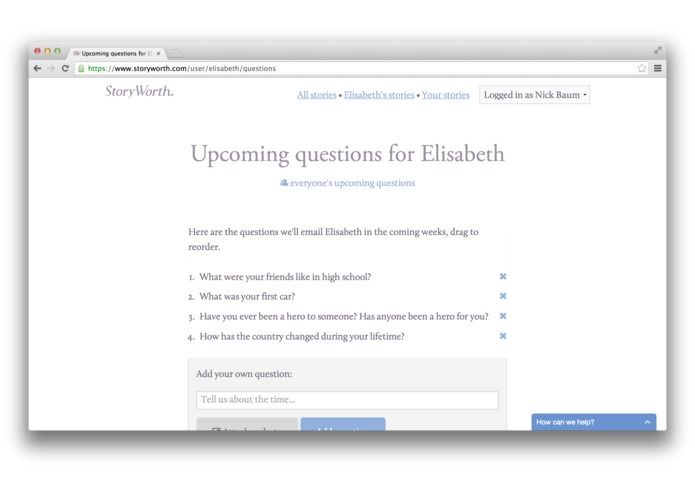 Key feature StoryWorth is based around a very simple concept: any task is easier to accomplish if you break it into manageable chunks. Rather than asking our storytellers to write their autobiography, we email them a simple question once a week. This encourages a regular habit, and a simple email a week turns into several hundred pages of stories by the end of the first year. Target market Our target customers are 35 to 50 years old, married, with young children. Their parents are retired boomers who are motivated to share their story and stay connected with their families. 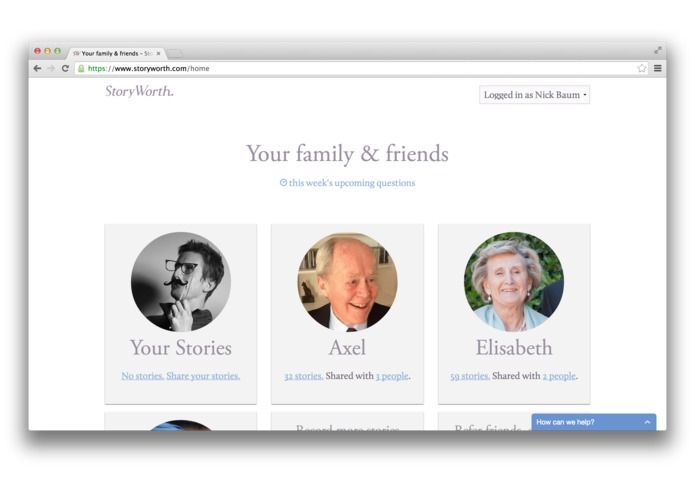 Founder of StoryWorth, the easiest way to privately record your family stories.